Sri Lanka A's lower-order collapse enlivened a short second day's play at Pallekele, where only 32.1 overs were possible. The hosts had progressed to 311 for 5, having begun the day on 244 for 4, but lost their last five wickets for 16 runs to finish on 327. Left-arm spinners Imad Wasim and Zafar Gohar were the visitors' main destroyers - Imad finishing with 4 for 44. Pakistan A's opening pair was unbeaten for 0 after 2.1 overs, when play was stopped. Kusal Perera was dismissed for less than 80 for the first time in the series when left-armer Mir Hamza bowled him for 23, but Kithuruwan Vithanage, who was 63 not out overnight, put on a 65-run partnership with Asela Gunaratne for the sixth wicket. Imad's dismissal of Gunaratne, though, began the slide. 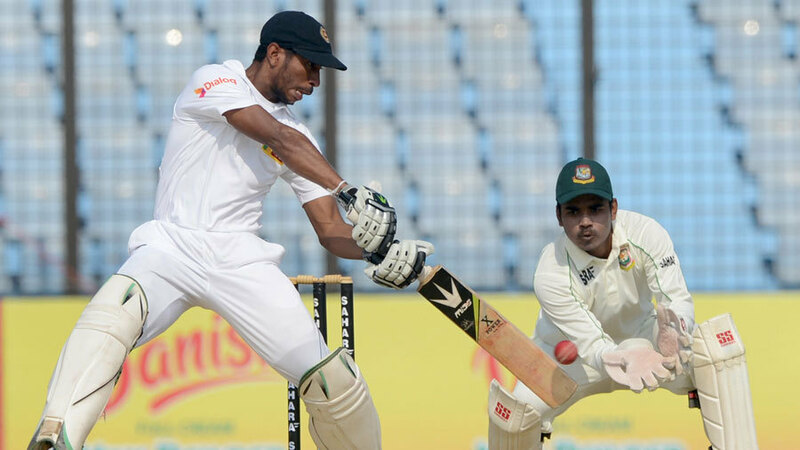 Vithanage was dismissed four short of a hundred, to claim the joint top-score with Dhananjaya de Silva, who made 96 on day one. The bowlers offered meek resistance. Tharindu Kaushal, Lahiru Gamage and Vishwa Fernando were all out for single-figure scores.